Voyzu Contacts Directory allows you to use your central company directory as a centralized location for all you company contacts such as leads, customers, suppliers and other contacts your company or organization interacts with. 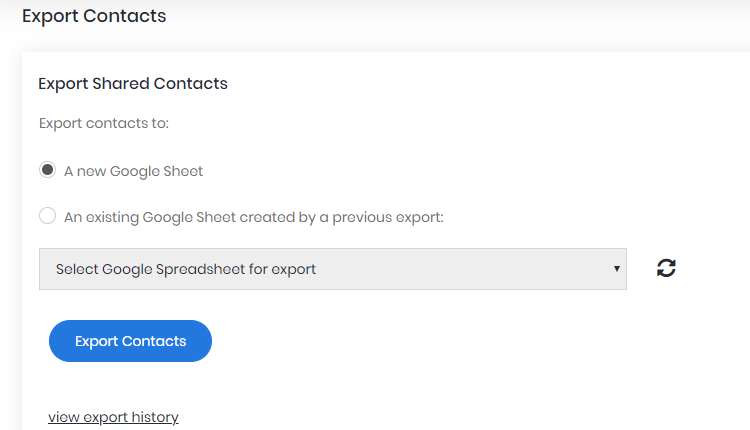 You may want to do an email merge to send emails to some or all of these contacts. This article will guide you through the steps on how to achieve this. If you haven't done this already, now is a good time to set up email authentication for your domain. This is important as without email authentication set up your mail merge emails risk going to your contacts' spam folder. Email authentication or Domain Keys Identified Mail (DKIM) is a process whereby you prove that you own the domain name you are sending email from. If you purchased your domain as part of your G Suite set up then simply click on 'Start Authentication' and G Suite will automatically do the rest. If not, you will need to insert some information into a TXT record of your domain's DNS settings. This process can be a little technical, however G Suite does provide on screen instructions to help you. 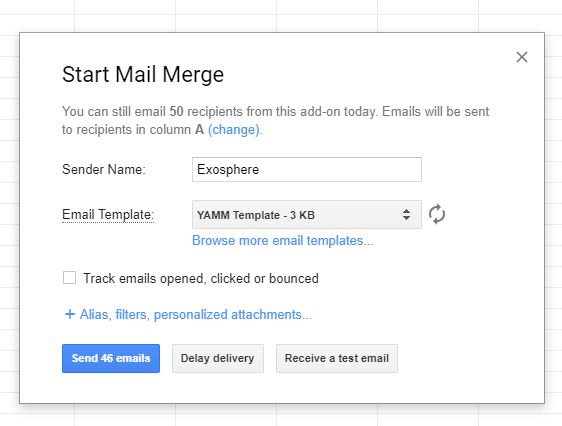 Select the email template you composed in a previous step in the 'Email Template' field.